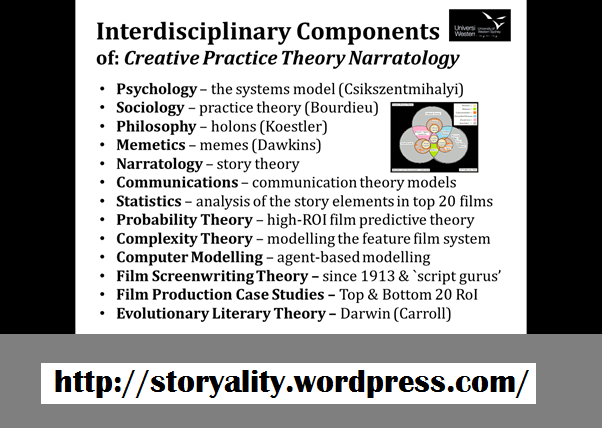 StoryAlity Theory – 20-minute paper @ the `Interventions & Intersections’ Conference 2013 Last week (June 26th 2013) at the Interventions & Intersections: UWS 2013 Postgraduate conference, I presented on StoryAlity Theory. 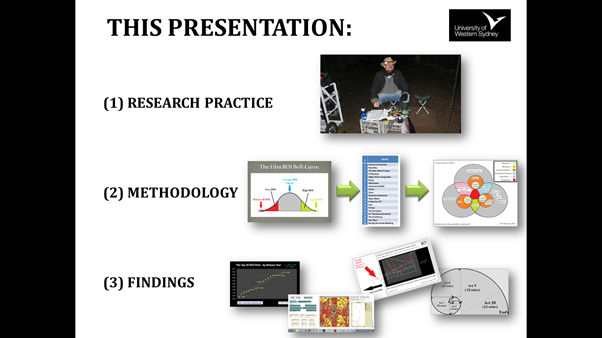 And, here’s (1) The Abstract, (2) Filmed Footage [20 mins], and, (3) the PowerPoint Presentation. I also blogged in more detail on the Interventions & Intersections: UWS 2013 Postgraduate conference, here. And, if you just want “the short story” of the post below, maybe see my previous post about StoryAlity Theory and the 3-Minute Thesis. 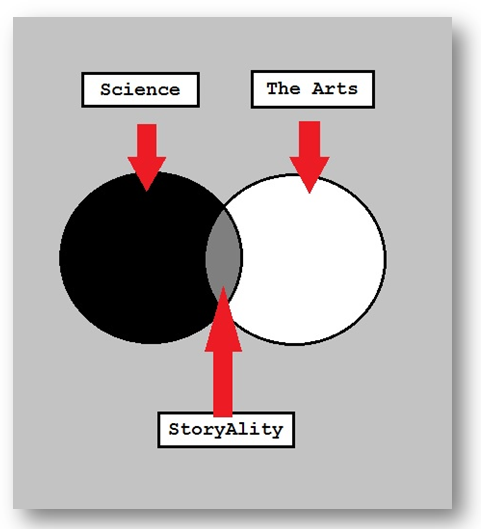 StoryAlity Theory – interdisciplinary research (and: consilience between the Arts and Sciences). 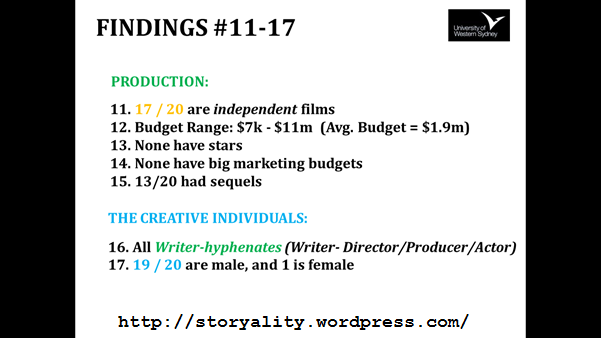 filmmaking practises, and also, to contrast these findings to the bottom 20 RoI films (the biggest money-losers). 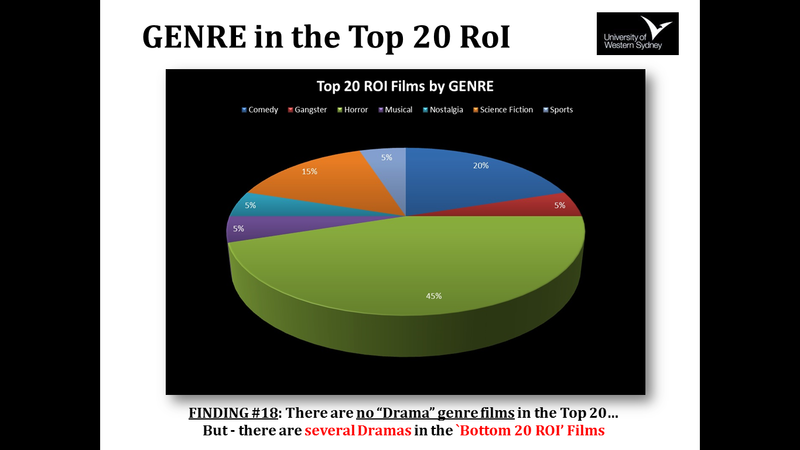 One finding that has emerged from this ongoing study is that all twenty of the Top 20 RoI filmmakers were writer-hyphenates, namely either: a writer-director, writer-producer or writer-actor (and/or combinations thereof). To understand and explain the way each writer-hyphenate created a film that made over seventy times its production budget in theatrical cinema release, a new methodology is proposed that combines Csikszentmihalyi’s `systems model of creativity’ (1996) with Bourdieu’s `practice theory’ of cultural production (1993). 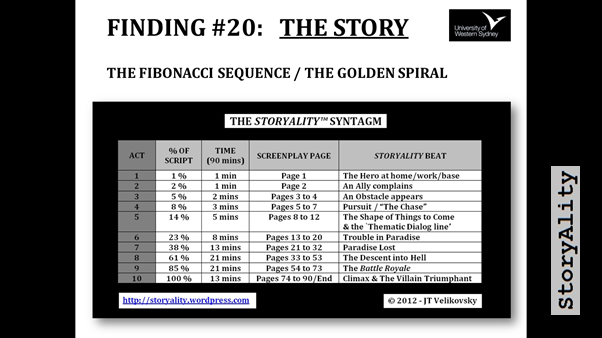 The resulting methodology, `creative practice theory’ (Velikovsky 2012), aims to identify for screenwriters, filmmakers and writer-hyphenates, the steps all twenty writer-hyphenates went through in creating each of these `viral’ Top 20 RoI feature films. DK Simonton’s Great Flicks: Scientific Studies of Cinematic Creativity and Aesthetics (2011) examined common elements in award-winning films, but by contrast this doctoral research examines commercial film success (or `virality’), noting that historically, there is little overlap between award-winning – and commercial (`viral’) films. 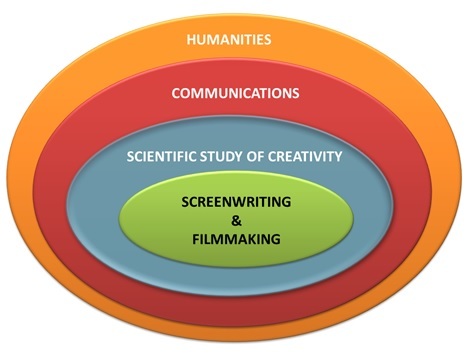 The scientific and empirical study of creativity, film and screenwriting (i.e. 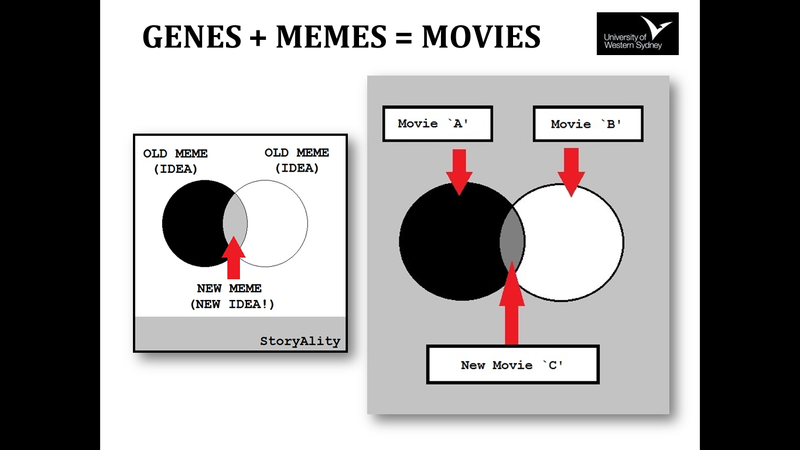 StoryAlity Theory) may potentially assist filmmakers and screenwriters aiming to reach the widest possible audience, using the least film production budget. 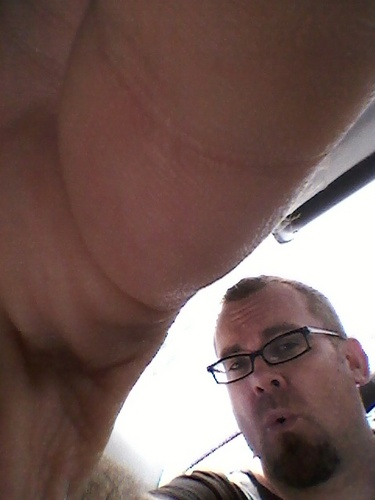 BIO: JT Velikovsky is a transmedia writer for film, TV, games, comics, and novels. Credits include the thriller feature film CAUGHT INSIDE (2011), comedy videogame LOONEY TUNES: ACME ARSENAL (2007), and comic-fantasy novel A MEANINGLESS SEQUENCE OF ARBITRARY SYMBOLS (2010). He is a judge for the Writers Guild, and has been a professional screenwriter for 20 years. 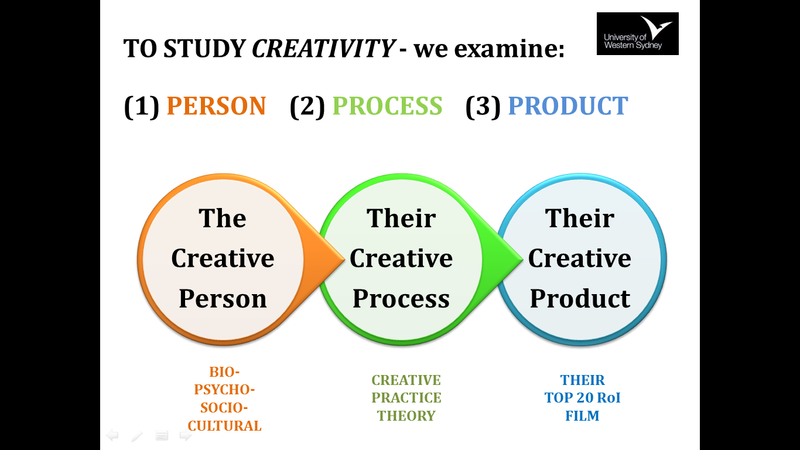 The `Creative Practice Theory’ diagram – one (possibly, fascinating) finding of this study is about the Top 20 RoI Filmmakers themselves, and their creative process: all Top 20 RoI Filmmakers are writer-hyphenates, meaning: either, a writer-director, or a writer-producer, or a writer-actor, and sometimes – all 3 at once – such as in the film Primer (2004). 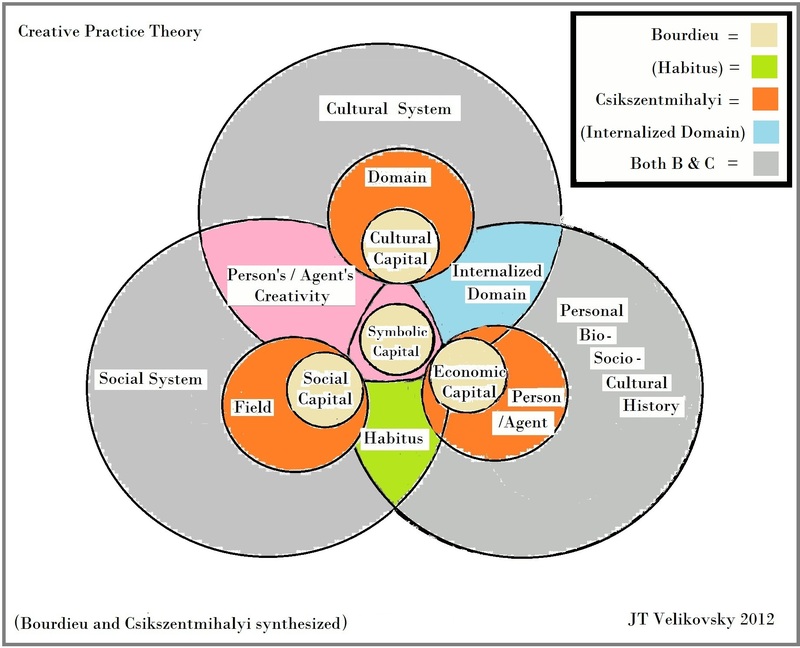 In the course of my research, I’ve discovered that: when we integrate Professor Csikszentmihalyi’s systems model of creativity (1988, 1996, 2000, 2006) with Professor Bourdieu’s practice theory of cultural production (1993), (a synthesis called: Creative Practice Theory) ten sequential (sometimes, concurrent) `steps’ appear over time, that all 20 of the Top 20 RoI filmmakers went through, in creating these `20 most viral films ever’. 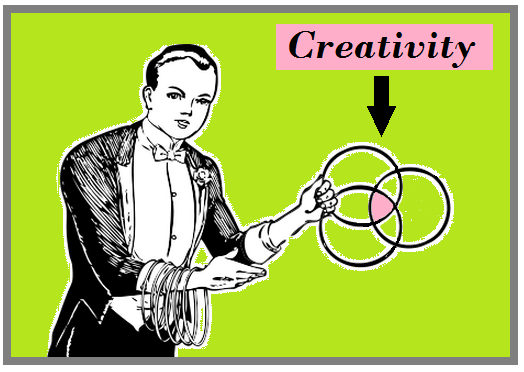 But, in case you were wondering – the last word I was saying, as it cut out, was: `Creativity’. 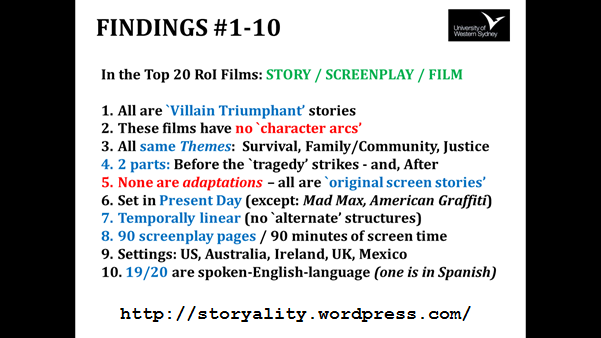 So it turns out, these Top 20 RoI Films are all `Villain Triumphant’ stories. In other words, the good guys do not win, and the Villain is not vanquished – and usually gets away. (Example – note how: Darth Vader escapes at the end of Star Wars, 1977. Note also how many of the heroes die in the Top 20 RoI Films). 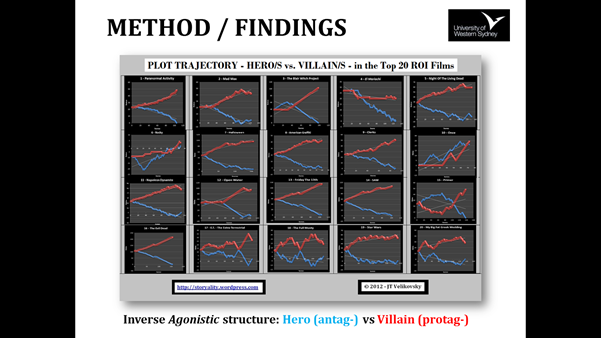 Another finding in my research: Drama films are very difficult to do `right’. 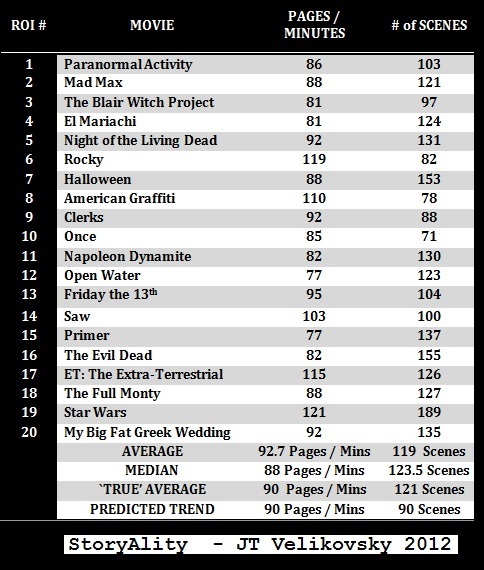 There are *NO* Drama films in the Top 20 RoI – as all are Genre films (e.g. Horror, Comedy, Sci Fi, Musical, Sports, etc). 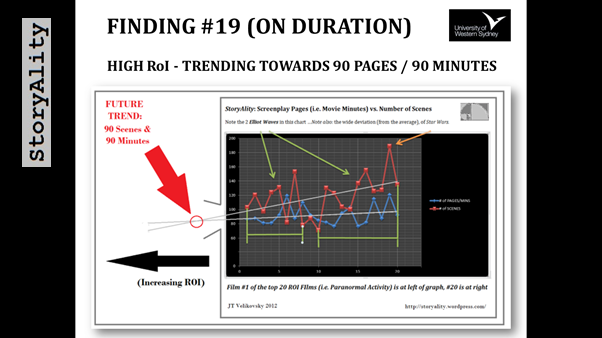 Another Finding (#19, in this case): As RoI increases, (to the left, below) the films (i.e. converging in the future, if the trend continues) approach 90 minutes and 90 scenes, or – an average of a scene per minute. 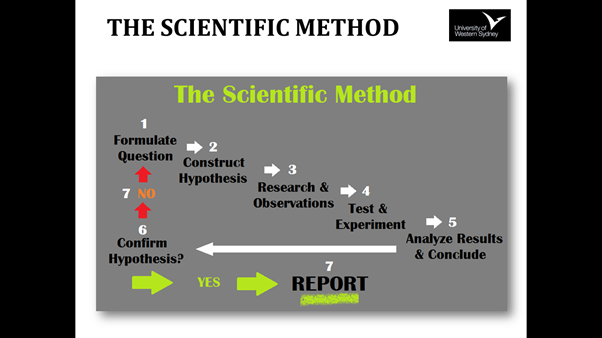 And now a quick recap of The Scientific Method: which allows us to analyse data, and make predictions. `Among the most useful would be: accuracy of prediction, particularly of quantitative prediction; the balance between esoteric and everyday subject matter; and the number of different problems solved. Less useful for this purpose, though also important determinants of scientific life, would be such values as simplicity, scope, and compatibility with other specialties. Those lists are not yet the ones required, but I have no doubt that they can be completed. If they can, then scientific development is, like biological, a unidirectional and irreversible process.Later scientific theories are better than earlier ones for solving puzzles in the often quite different environments to which they are applied. `Another standard objection to anti-realism concerns the predictive success of theories. How can it be, so the objection goes, that theories are so predictively successful if they are not at least approximately true. The argument seems to have particular force in those cases where a theory leads to the discovery of a new type of phenomenon. How can Einstein’s theory of general relativity be considered as a mere calculating device given that it successfully predicted the bending of light rays by the sun? How can it successfully be maintained that the structures attributed to organic molecules were mere instruments when those structures can now be witnessed “directly” with electron microscopes? 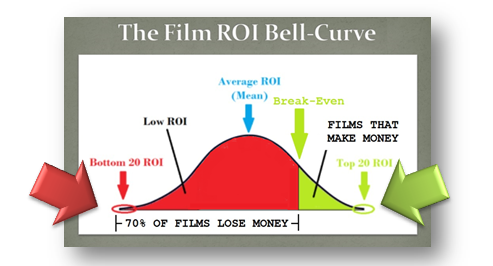 As, in doing this research – quite by accident – I discovered that the Top 20 RoI films occur every 2.05 years on average, with an almost-clockwork regularity – and – when they don’t – when there is a 10-year gap, like in 1983-93, the system corrects itself, perfectly (with the `sudden 4 films’ in 2004). 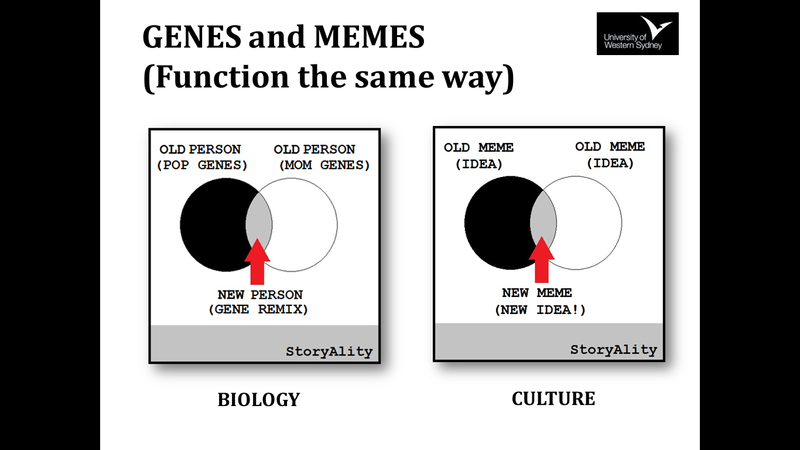 And – this also becomes relevant when we consider that the StoryAlity may also in fact empirically prove the existence – and functioning of memetics in popular culture, with regards to the systems model of creativity, and the feature film system itself. And ideas, processes and products are memes. 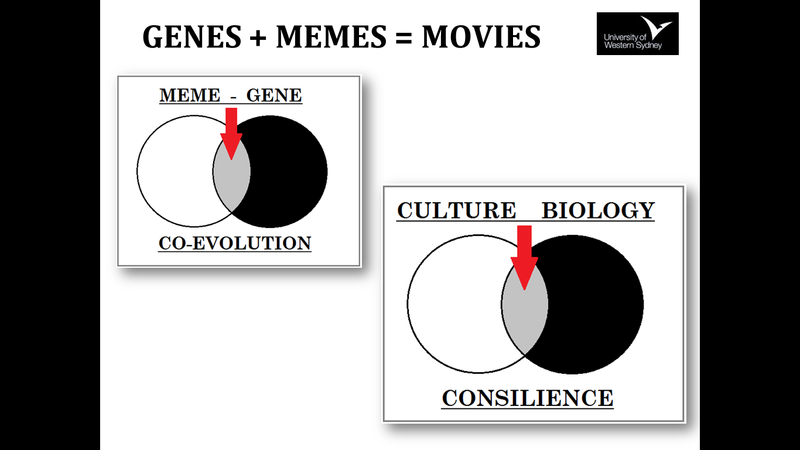 People = Gene remixes… Movies = Meme (idea) remixes. 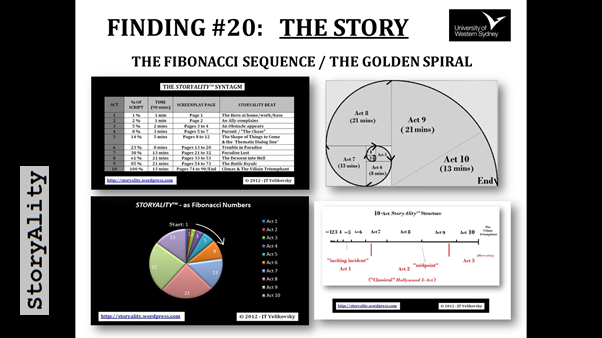 The StoryAlity theory may well be falsified in the future, and yet, it may well have already provided valuable `spin-off’ discoveries for film/screenwriting theory. `Little is learnt from the falsification of a bold conjecture or the confirmation of a cautious conjecture. If a bold conjecture is falsified, then all that is learnt is that another crazy idea has been proved wrong… The falsificationist wishes to reject ad hoc hypotheses and to encourage the proposal of bold hypotheses as potential improvements on falsified theories. Those bold hypotheses will lead to novel, testable predictions, which do not follow from the original, falsified theory. However, although the fact that it does lead to the possibility of new tests makes an hypothesis, it will not rank as an improvement on the problematic theory it is designed to replace until it has survived at least some of those tests. This is tantamount to saying that before it can be regarded as an adequate replacement for a falsified theory, a newly and boldly proposed theory must make some novel predictions that are confirmed. Many wild and rash speculations will not survive subsequent testing and consequently will not be rated as contributing to the growth of scientific knowledge. The occasional wild and rash speculation that does lead to a novel, unlikely prediction, which is nevertheless confirmed by observation or experiment, will thereby become established as a highlight in the history of the growth of science. So, what the heck does all that mean..? My understanding is, that: unexpected new theories can come out of a theory, even if the first theory is falsified. And StoryAlity Theory does make many new novel predictions. And importantly, StoryAlity Theoryretrodicts (as opposed to:predicts) The Devil Inside (2012). 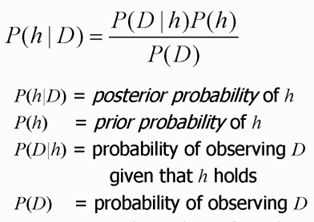 Also, when all else fails – in Science, there’s always Bayes’ Theorem! Anyway – so what does all this mean? This, for one thing: it looks like my work all sits within Literary Darwinism, and Consilience, which is all pretty bizarre – (a weird coincidence) as I only discovered it a month ago, and yet the irony is, two-time Pulitzer prize-winner E.O. Wilson is one of the 91 creatives interviewed in Csikszentmihalyi’s Creativity (1996). – Go figure. And anyway, suddenly – my talk was over, and: all too soon, really. 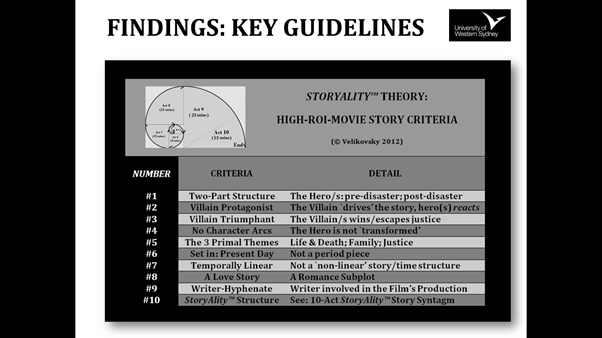 Q: So, JT – when you’re writing a screenplay now, do you actually have, these `30 StoryAlity Theory High-RoI Film Story Guidelines’ in your head-? JT: Yes. Exactly. 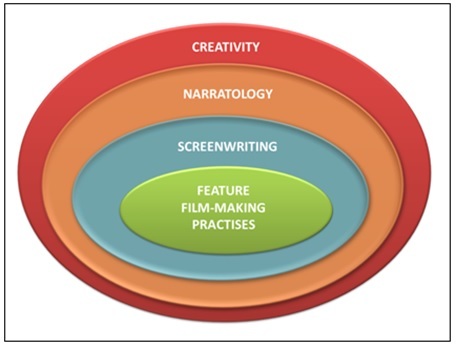 With feature film screenwriting, after 10 years or so of `Internalizing the Domain’ – you usually have about 1000 screenwriting rules in your head anyway; there are about that many. Seriously. So – 30 more guidelines isn’t too bad. And – at least, these ones are very clear, High-RoI probability guidelines. As opposed to the `knowledge’ in the other Screenwriting Manuals… which tends to have very little empirical evidence behind it, being based on selective examples. Q: So what do you think of Lucas and Spielberg, saying the other week that, it will take a half-dozen `blockbusters’ to fail, for the film industry to collapse, and split into: vastly-cheaper online feature films – versus – the very expensive `sensory overload’ 3-D Surround-Sound cinema `blockbusters’ (at $25 per cinema ticket)? JT: Bring it on. I love my blockbusters, and also my no-budget Indie-Arthouse-Cult films – I love all types of films – but – rather than, someone make a lousy, `big dumb Hollywood blockbuster’ for $300m that fails at the box office, I would much rather see 150 x $2m indie-arthouse-cult films get made… 17 out of 20 of the top 20 RoI films are indie films. Only three films, Star Wars (1977, $11m), ET (1982, $10.5m) and My Big Fat Greek Wedding (2009, $5m) are: Hollywood `studio films’. The other 17 are indie or arthouse films that went viral in the culture, due to word of mouth, due to: their Story being fantastic. So then – what makes a fantastic Story? 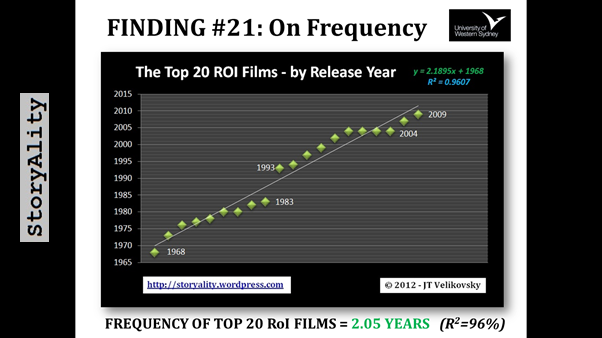 …See the common patterns in the top 20 RoI films. Milissa Deitz: Maybe it’s due to the rise of VCRs in the 80s? 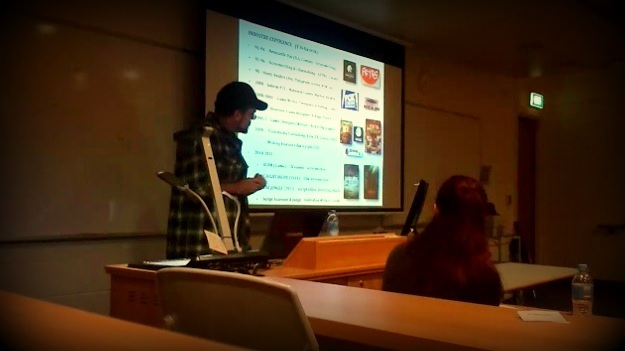 So, I was pleased that the Creative Practice Theory and Feature Film Screenwriting presentation/paper went over, and actually – I was thrilled at the level of `engagement with the research’ from everyone in the audience. All the questions were brilliant, and `right on the money’, and, other researchers were keen to chat with me about it, in the breaks during the rest of the conference. i.e. 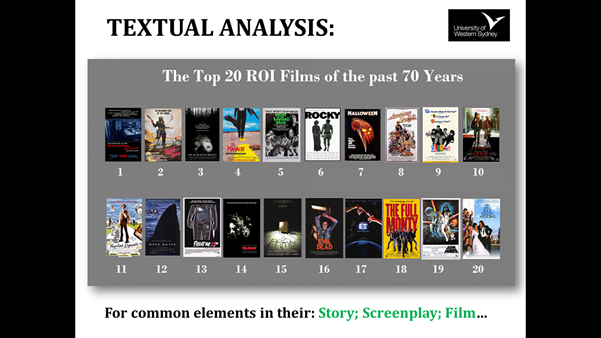 : I am unsure why Top 20 RoI films emerge from the film system, quite so regularly [i.e. every 2.05 years on average], but I am just very glad that, they do. 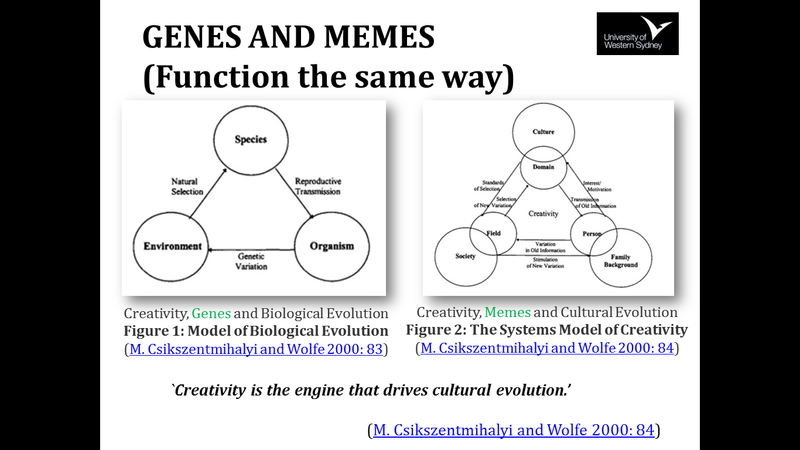 It provides a good methodological justification for my using the systems model of creativity (i.e. 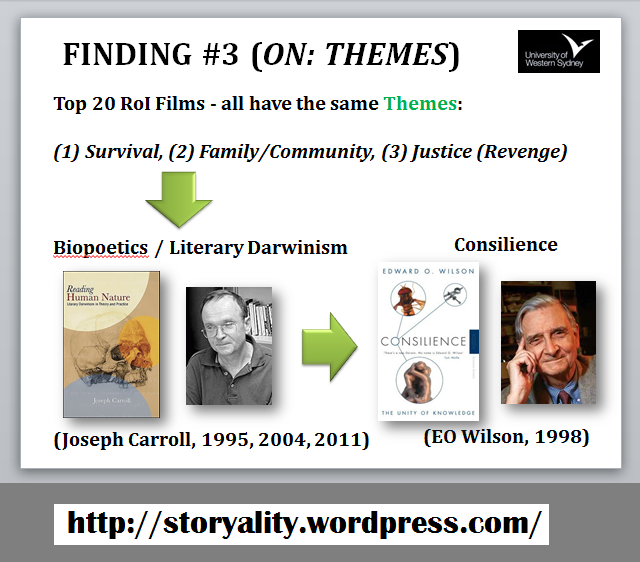 Csikszentmihalyi 1988-2006), in my analysis of the film industry/films/film stories. 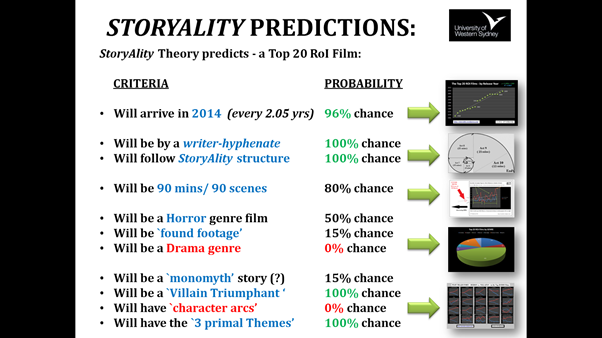 – It will certainly be interesting to see, if 2014 brings us a new Top 20 RoI Film, as per one of the: StoryAlity Theory predictions. Also, when attempting to extract scientific predictions from a theory, I think it is important to make a lot of them, as that way – due to `The Law of Large Numbers’, there is then a greater likelihood that: at least one of them, will come true. And – ideally, for me – all the `unrealized predictions’ are soon forgotten. (i.e. : In actually creating a top-20 RoI, hyper-viral theatrical feature film/story, given that: 7 in 10 films loses money, and 98% of screenplays go unmade…). So – I thank UWS once again, for the opportunity in (and support, in) pursuing this doctoral research. I have been thinking about – and like all filmmakers, struggling against) these 3 `wicked problems’ in the feature film domain for 20 years now, ever since I read those 100 most-popular screenwriting texts*, back in 1995. To explain: the `sliders’ in the diagram are placed randomly, and are not meant to illustrate either a specific `Normal’ or any specific `Creative’ person. 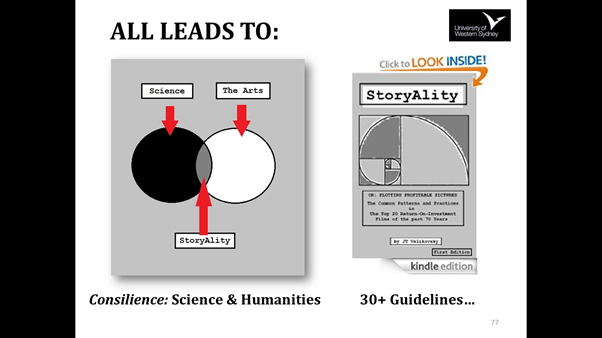 And, if StoryAlity Theory is all new to you, maybe watch the 30-min online interactive documentary. And: if you’ve seen the movie, read the book! And maybe even, read the blog. (And, Thanks again to all at UWS, for an excellent Interventions and Intersections Conference 2013) Comments, feedback and thoughts on this blog, always welcome. “Creativity Guy says: Don’t Drink And Drive.” Especially if you can see 3 steering wheels, like this. But – if you really must drive (while sober), then maybe try and do some Creativity (i.e. : thinking). As, that’s when many creative insights happen (while driving, walking the dog, in the shower, etc.) – Seriously. Then again, try not to do it (i.e. to think). As, you really want that `unconscious association of ideas’ thing (i.e. : `illumination‘) to take place. * (Literature Review) 20 years ago, while studying Screenwriting at film school (the AFTRS) I read 100 books on Screenwriting, and I summarized them all, into a writing textbook. It’s free, online, and is called The Feature Film Screenwriter’s Workbook. I’ve updated it 4 times in the past 20 years. Click here to download (the free PDF). (3) 90% of Australian filmmakers only ever make one feature film. It’s hard to have a sustainable career as a filmmaker, as – these are 3 `hard, real-world problems’ in the domain of Film. 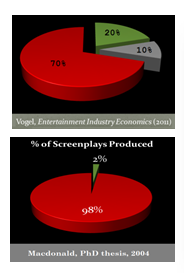 My own approach to solving these 3 `hard problems’ in the Film Domain is: To examine Return On Investment in film. So, `high-RoI films’ are those that were made for the least budget – but had the widest audience reach – in other words, they are the films that went most viral in the culture, due to word-of-mouth – because of their Story. Though, if you’ve been reading this blog, then you’d probably know all that already. Either way – Thanks for reading! Bourdieu, P & Johnson, Re 1993, The Field of Cultural Production: Essays on Art and Literature, Columbia University Press, New York. Butler-Bowdon, T 2007, 50 Psychology Classics: Who we are, How we think, What we do: Insight and Inspiration from 50 key books, Nicholas Brealey, London. Chalmers, AF 2000, What Is This Thing Called Science?, 3rd edn, Open University Press, Buckingham. 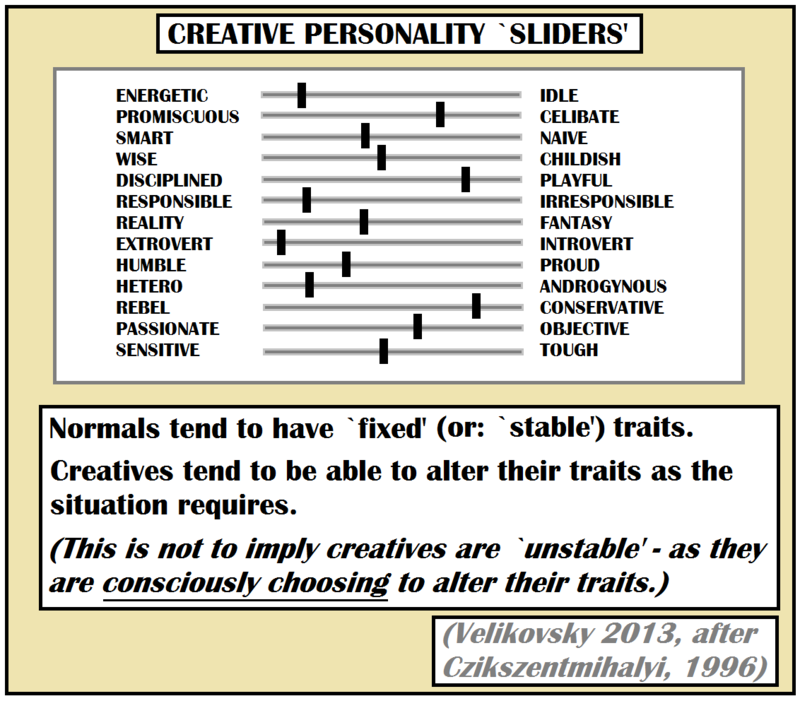 Csikszentmihalyi, M 1996, ‘The Creative Personality’, Psychology Today, Jul-Aug 1996, pp. 36-40. Kuhn, TS & Hacking, I 2012, The Structure of Scientific Revolutions, 4th edn, University of Chicago Press, Chicago ; London. Sawyer, RK 2012, Explaining Creativity: The Science of Human Innovation, 2nd edn, Oxford University Press, New York.Simonton, DK 2004, Creativity in Science: Chance, Logic, Genius, and Zeitgeist, Cambridge University Press, Cambridge ; New York.Simonton, DK 2011, Great Flicks: Scientific Studies of Cinematic Creativity and Aesthetics, Oxford University Press, New York; Oxford.